This statistic shows the percentage of U.S. healthcare organizations that offered international telemedicine services according to a survey conducted among healthcare executives and providers during Q4 2017. According to the survey, 22 percent reported that they offer international services. 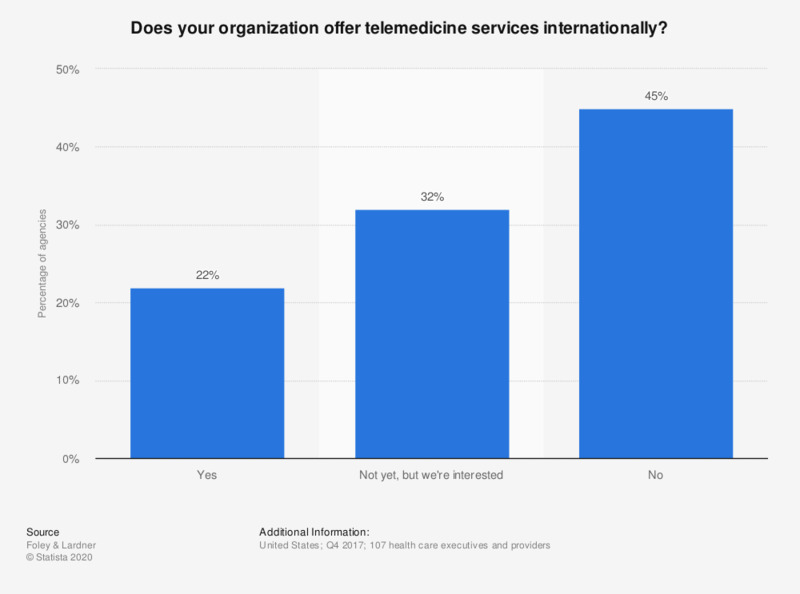 Original question: "Does your organization offer telemedicine services internationally?"